Earlier in the year we got quite excited by the new Mitsubishi Laservue TVs due out this fall. The range of televisions in the Laservue range are unique because they use lasers to project the image on the screen which is cool in itself, but it also turns out this method of image projection is actully better than LCD or plasma. The Mitsubishi Laservue TV offers twice the number of colours than current HDTVs and provides superiour blacks and whites. 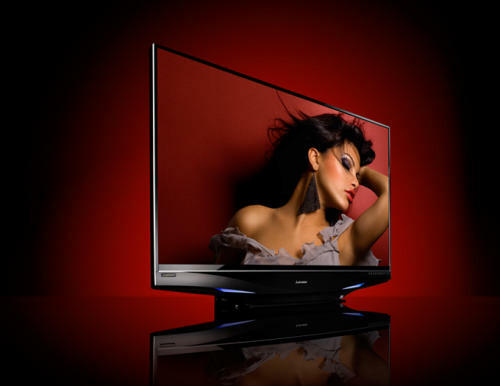 For everyone trying to be green or save a little cash on the energy bills, Laservue operates at about half the power consumption of simular sized LCD TVs and a third of plasma’s. If that is not enough for you the LaserVue TVs also comes equipped with 3D-ready viewing technolog, 4 HDMI ports and wired IR input. That, I am afraid is the end of the good news. The Mitsubishi Laservue TV L65-A90 will hit the market in the United States at the end of the third Quarter, but the sting in the tale is the price. The 65 inch Mitsubishi Laservue has an MSRP of $6,999! No matter how call the technology I don’t think I will be rushing out to buy one just yet. Is the Asus A33 the world's loudest Media Center?